With it being Halloween shortly, I have decided to do a special spooky edition of Throwback Thursday … OOoOoOOoooOOOOoooooo Throwback Thursday is a meme created by Renée at It’s Book Talk to share old favourite books rather than just the new shiny ones. This is a great idea to bring back to life some much-loved books. Please feel free to join in. I have read this book so many times and I never fail to enjoy it. It was one of the first Agatha Christie’s I read as a teenager when I went through a phase of devouring everything I could get my hands on. Even though I have read it so many times now, it has never lost its appeal to me. Spooky? No, not at all. Fun? Yes, absolutely! Ariadne sets off to see her old friend Hercule Poirot for help as she has become convinced that someone who overheard Joyce’s claim to have seen a murder had wanted to shut her up. Poirot then sets about busy-bodying his way around the village, in true Poirot style, asking questions to anyone and everyone about what Joyce may have seen. And as in true Christie style, expect the unexpected! This book is written in the form of a journal by Jack Miller, a London misfit with a dead-end job and no friends who joins an expedition to the Arctic Circle in 1937. Jack is desperate to go and has looked forward to this adventure for six months before setting off so his spirits are high as soon as he steps onto the boat to take them to the bay of Gruhuken in northern Norway. However, Jack’s joy soon takes a downward turn as one by one, members of the expedition drop like flies and he is left alone, with just a pack of huskies and a self-built hut in one of the remotest parts of the world. Not only that, but Jack begins to see and hear things that aren’t really there. Or are they? Although I enjoyed this book immensely and would recommend it as a great read, I am disappointed to report that it didn’t scare me in the least (and I am a complete wimp when it comes to scary things). Definitely eerie and atmospheric and a great ending to the book, but alas it did not actually scare me. I first read this book as a young teenager (so just a few years ago then…). I remember one half-term shutting myself away in my bedroom with a stack of John Saul novels and scaring myself silly. I had completely forgotten all about John Saul until I stumbled across this book many years later and decided to see if I still felt the same. Fast forward a few (!) years, it didn’t have the same impact on me as it did as a teenager in terms of reading it from behind a cushion, but I still loved it and remembered just why I was such as fan of Sauls books back then. One hundred years later, twelve-year-old Michelle moves with her family from Boston to Paradise Point to live in a big old Victorian house on the edge of the cliffs. When she picks her room, she finds an ancient doll at the back of the closet and names her Amanda. This is a great book to keep you on the edge of your seat. I had forgotten just how great John Saul is able to do that. While not actually scary, it certainly had an eerie feel to it and it kept me on my toes. A great Halloween read. Eerie and creepy. Read on a dark, cold night…but watch out for the fog drawing in…. Despite casualties of the spooky goings on a-plenty, Faraday managed to find an explanation for everything: the fires, the writing on the walls, the tapping etc. What frustrated me was that while this was going on I was expecting things to start falling into place and make sense, but it never did. I am no more clued up now that I was when I started it. What I think Waters has done is left readers to make up their own minds about what was going on in the house. Where there really ghosts or was the family in melt-down as well as the house? The book is set in post WWII England, on the eve of the NHS, when class is becoming less important and the upstanding members of the community aren’t necessarily only those with wealth anymore: Mrs. Ayres still likes Betty the maid to dress in full black and white and courtesy etc which is even starting to be amusing to members of her own circle. With the going’s on in the house, we are left to wonder whether there really is the pitter-patter of little ghosty feet or whether the demise of the house is mirroring the demise of its occupants? I would definitely recommend this book as a really good read. I was reading late one night and put the book down just after an episode of tapping on the walls and was drifting to sleep when I swear I was woken up by tapping on my bedroom window! It could have been a dream, but hey……..you never know! Although this book wasn’t actually scary per se, the ghostly goings on in the middle gave me the chills while I was up reading late one night. Good spooky parts but the book won’t turn your hair grey with fright. T hrow a huge cemetery, a cold & wintery London, bizarre mirror twins, a feral kitten and a recently dead Aunt into a pot together and the result is a wonderfully quirky, melancholy, spooky book. The story is set around Highgate Cemetery in London where a recently dead Elspeth has left her apartment to her twenty-year-old American nieces, Julia and Valentina, who are mirror twins. When the twins arrive in their new home they soon learn that they are not alone as it appears their Aunt Elspeth has never left. While it’s sometimes difficult to know who to root for in this book, there is a wonderful cast of both primary and secondary characters that kept me glued to the story and there is a sense of such powerful emotions that they almost feel tangible: The twins new neighbour, Robert, was their Aunt’s lover and his feelings of loss for Elspeth are painful to read at times. I felt completely absorbed in this book and I have to admit that I never saw what happened in the last 50 pages coming at all! 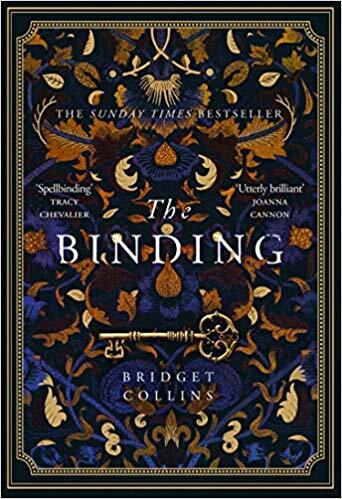 It is ultimately a book about love, loss and betrayal with a gothic backdrop of ghosts, cemeteries and enough twists and turns that you never feel completely comfortable. 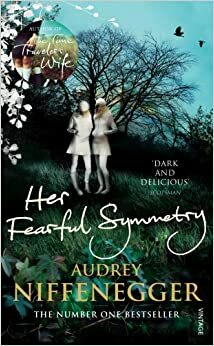 With the Cemetery itself a character and echoes of Henry James and Charles Dickens, “Her Fearful Symmetry” is a delicious and deadly twenty-first-century ghost story. Mild spookiness. Unless you have a particularly weak heart, you should be OK with this one. The really weird thing about this book is that I picked it up for a few pence in a second-hand bookshop a few years ago; I had no desire to read any horror books at the time and when I got home I remember wondering what had possessed me to get it as I thought I might find it too scary to read. On a whim a while later, I took it off my shelf and dusted it down – and I swear I kept getting déjà vu while I read it (just little snippets that would make me shiver and convinced I’d read it before but I really don’t think I have). Spooooooky! The book is a ghost story that starts off with the abduction of a four-year-old girl, Naomi, from a busy toy shop in London on Christmas Eve in 1970. Her father, Charles Hillenbrand gets separated from her in the shop and she is never seen again. By the afternoon of Christmas Day Naomi’s body has been found – she has been murdered. While trying to cope with their grief and come to terms without their little girl, back in Cambridge, Charles and Laura find themselves on the receiving end of some very strange events. They are woken one night by a piercing scream coming from Naomi’s room, and they hear footsteps in the attic above their bedroom. The mystery and nightmare only deepen when a photographer who has been camped outside their house waiting for glimpses of the grieving parents has his role of film developed and finds strange faces that appear at the attic window and two little girls dressed in Victorian clothing in the garden where he was sure there was nobody there. Together, Charles and the journalist, David Lewis, try to work out what’s going on……but nobody could predict what more was to come! This is a really spooky tale of things that go bump in the night, ghosts who have had a particularly gruesome end to their earthly lives and are trying to communicate, and the ending is pretty shocking – and totally unexpected! This book was out of print for some time but it appears to be back on Amazon (yay! ), along with Aycliffe’s other books which I now fully intend to check out. A good spooky yarn – scary and shocking. Recommended for sitting in a dark room with just your reading lamp on and a cup of hot chocolate. So there we have it: a little selection of spooky-themed books for the run-up to Halloween. Have you read any of these? Which other books do you recommend for this time of year?